Surrounded by intense natural beauty, La Vallée Verte is a real haven for families who want to have fun and unwind in between excutsions to explore an enchanting valley. The team at LuxCamp work tirelessly to present unforgettable luxury camping experiences. 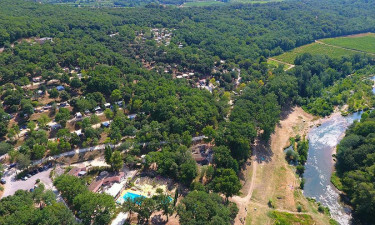 The lush valley that surrounds La Vallée Verte is the perfect place to explore during a luxurious camping holiday. Guests will find several hiking trails right on their doorstep and there are plenty of great places to pause to simply soak up the scenery. 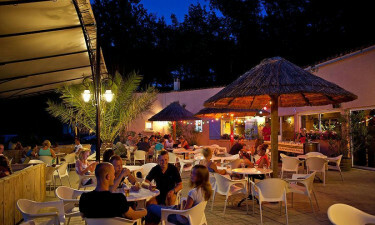 Why choose Camping La Vallée Verte? The river on the edge of La Vallée Verte features a pretty pebble beach for the kids to play on safely. The waiting water of the river flows gently and also offers aquatic adventure opportunities such as tubing and kayaking. 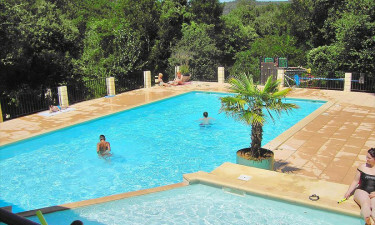 Water babies are sure to love to private pools that can be found scattered throughout La Vallée Verte. There is also a large outdoor swimming pool in the heart of the site, which is surrounded by large and luxurious sun loungers to relax on while catching a few rays."